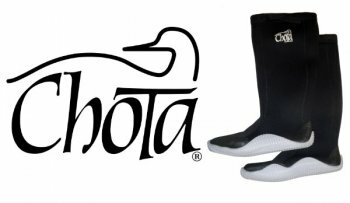 "Although I have done quite a bit of canoeing and kayaking, this is actually the first one that I have actually purchased, after doing a lot of research. And I couldn't be happier with my choice! I enjoy doing lots day trips with friends going fishing and such, but also weekend and longer canoe/kayak camping trips. I also take my 45 pound Australian Cattle Dog everywhere I go. 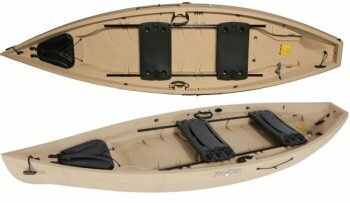 So what I was looking for was something STABLE..."
"I bought a Nucanoe Frontier in 2012 - it was sold by a dealer that was new to the area, and I believe we were one of the earlier customers in the St. Petersburg Florida area to buy one. We loved the boat, and it served as a fantastic tender to our Sailboat – also so stable that our large dog got almost daily rides in it. Why the low rating? After several years we noticed..."
"Ordered several items including a Feelfree Lure 11.5 with Overdrive Pedal Drive. After waiting over one month the order finally arrived but the Pedal Drive was missing. NO SMALL ISSUE SINCE THIS IS NEARLY HALF OF THE KAYAK COST. ( My 13.5 Feelfree Lure was $1000.00 less) . After holding with customer service for 6 minutes "Zack" cam on the line. I explained the my entire order arrived in excellent condition but the Pedal Drive was missing. After some discussion..."
"Got my board and it was in great shape. but after one use it had cracks on the hall. took some time to get it replaced, but the "new" one was made of thinner products and felt even cheaper build than the prior one... not the best build." 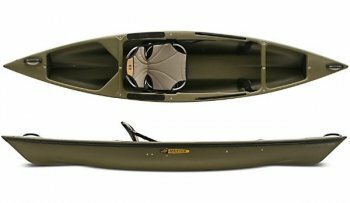 "An excellent kayak that is a pleasure to fish from . I can pedal in 12-13 inches of water and not worry about the prop . Cruising at 3.5 mph is very easy for a couple of hours , but trying to go fast is a waste of time . The hull will push water instead of slicing through it . 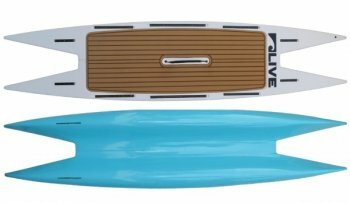 The ride is very dry and the seat is about 5.5" above the floor so even in rough water..."